Even though I have been a Stampin' Up! demonstrator for a little over seven years now, I do sometimes love and use other brands (a.k.a. contraband in demo-speak..... or "SOB" - Some Other Brand). As long as I am not actively promoting and profiting from the competition, Stampin' Up! is okay with it. Which is really nice, when you think about it. 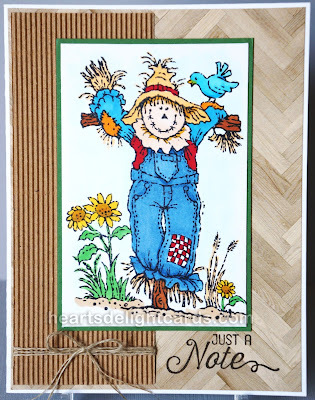 Case in point: This adorable scarecrow from CTMH. I had the pleasure of getting together with some local stamping ladies for a day of stamping, coloring, laughing & chatting, eating some outstanding brisket, and stamping some more. It was a day made in heaven! Knowing my fondness for scarecrows and snowmen, my hostess brought out some of those stamps so that I could stamp some images to color. SO. MUCH. FUN! So, this cutie pie was the first one to get colored. I added some (now retired) Kraft Corrugated paper and the lovely wood planks from the Serene Scenery DSP stack for a rustic feel. Just a reminder: Tomorrow is the last day of the World Card Making Day sale, but the Buy 3 Get 1 Free DSP sale runs through the end of this month! 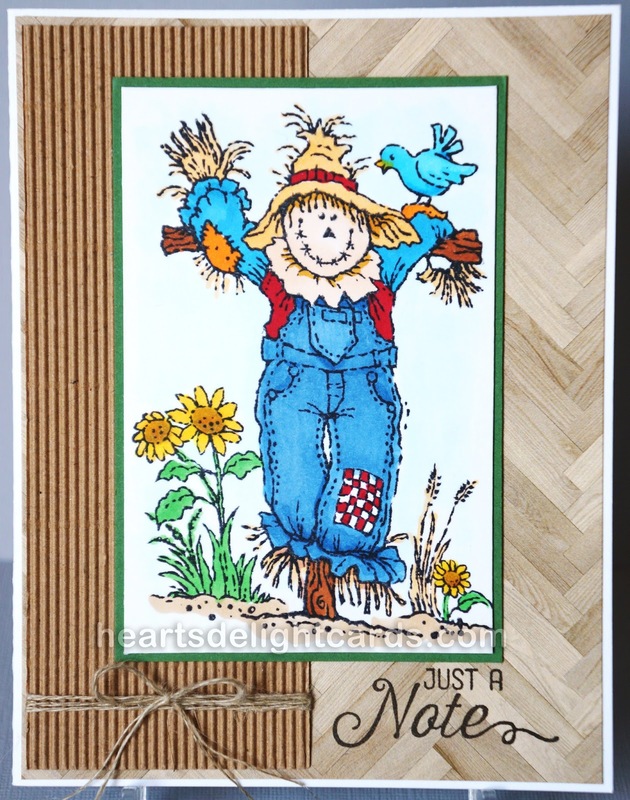 Labels: Autumn, CTMH, Hand Stamped, Just a Note, Scarecrow, Stampin' Up!